Barcelona can not be a concern down Andres Iniesta in the Champions League final fight, it is not evident. Iniesta could be appearing on the match against Manchester United After examination, Iniesta could recover after that time, to appear in the final. Examination results showed maestro bait if this injury is not too severe. Unlike the initial allegations. The Blaugrana are full, the visible limp when Barca play against Villarreal 3-3, last week. Team directly to check the medical condition, if the doubts can appear opposite Iniesta United in Rome. However, the phase when the new examination to confirm injury is not severe. Barca hero in the match against Chelsea, only a right leg muscle cramps, and can recover quickly. Only, the half will not take part in the Copa del Rey final against Athletic Bilbao, on Thursday (14/5/2009). Fletcher was given a straight red card for an adjudged foul on Cesc Fabregas in the box as United won the second leg of the Champions League semi-final 3-1. Uefa has confirmed that no appeal can be made against the decision, no matter what the referee says in his report. 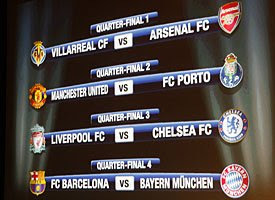 United will face Chelsea or Barcelona in the final in Rome on 27 May. "Manchester United have the right to protest the decision within 24 hours of the match," said a Uefa spokesman. "However, the protest is only admissible if the referee made an error and mistakenly identified and cautioned or sent off the wrong player. "There cannot be an appeal against a factual decision taken by the referee and there is nothing to indicate that the referee made a mistake in identifying Fletcher as the player he penalised last night." After Tuesday's game, United manager Sir Alex Ferguson described the prospect of Fletcher missing out on the final as "a tragedy" but did not criticise Italian referee Roberto Rosetti. "You can see the ball has moved in a different direction but we shouldn't ask the referee," stated Ferguson. "He's competent and fair enough to look at it himself possibly. Apparently, you can't appeal and if that's the case it's disappointing for the boy. "Darren's one of the most honest players in the game and to miss the final is a tragedy." Arsenal manager Arsene Wenger also insisted the red card was "very harsh" after television pictures showed Fletcher played the ball cleanly. 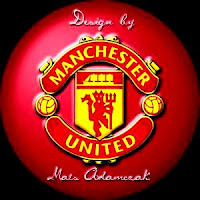 Manchester United is the best team in the world at this time. 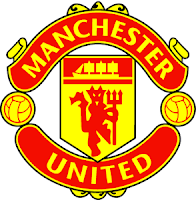 But it does not mean the Red Devils can not afford be caused to bow. The Gunners still have the strength to beat UAs scheduled, the club upbringing Sir Alex Ferguson will entertain the Gunners in the first leg at Old Trafford, on Thursday (30/4/2009). The second leg will take place at the Emirates Stadium, Arsenal's stall, on Wednesday (6/5/2009).nited in the Champions League semifinal this season. I am not concerned with the sentence as one of the United club in the world, although I want to beat them. 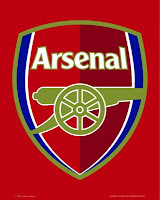 United is the best team in the world at this time and we respect them, "said the captain Arsenal. In fact, they are one of the best in club history. I respect Sir Alex Ferguson for what has been achieved. There are some great contention for many years. I'm sure both teams will play the same interesting and dramatic, "continued the origin is Spain. The first leg Champions League semifinal round will begin scrolling. Chelsea interim coach also gave a little advice to the children of troops who will face chelsea champion favorite candidate Barcelona . Barca success throughout this season is no need to doubt. Seeing the players with high quality such as Lionel Messi, Thierry Henry, Xavi Hernandez and Andres Iniesta, Blaugrana became one of the most skuad death in all competitions. Defend Bundesliga champion Bayern Munich also become victims oSee Barca play pattern that tends to strike quickly, if Hiddink revealed himself to apply different strategies when compared to Liverpool or Manchester United. The key, John Terry et al must maintain tranquility until the end of the fight.f violence in the black-Barca final quarter ago. We will face a team best in Europe, even in the world at this time. They were happy to play attack, as well as us. 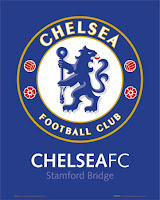 But, when you face United or Liverpool, the team control of the same, "said Dutch coach's home. When the United or Liverpool, the match rhythm can be increased in a flash. However, Barca are a very smart team. European champions Manchester United will meet compatriots Arsenal in the UEFA Champions League semi-finals after both sides celebrated victories on Wednesday. The two teams will commence their continental rivalry at Old Trafford on 28 April before disputing the second leg at the Emirates Stadium on 5 May. In the other last-four encounter, Barcelona will host Chelsea at Camp Nou on 29 April and attempt to book a berth in the final in the second leg at Stamford Bridge on 6 May. For the third consecutive year, three English teams will be present in the semi-finals. That suggests a certain stability among Europe's finest clubs and a closer look at the sides involved confirms the impression, with three of last season's semi-finalists back at the same stage again this year. Only Arsenal have proved capable of breaking into the select group, at Liverpool's expense. Stunned near the start by a long-range effort from Portuguese international Cristiano Ronaldo, Jesualdo Ferreira's men took several minutes before forcing their way back into the game. Just as they began to settle, however, they lost their captain and midfield orchestrator Lucho Gonzalez to an unprovoked injury. Far from admitting defeat, Porto's exciting forwards soon began making nuisances of themselves, yet they found it much harder to trouble United's rearguard with Rio Ferdinand fit enough to feature again. Aside from a Lisandro Lopez volley well stopped by Edwin van der Sar, the Portuguese outfit seldom appeared dangerous and often left themselves open to United counterattacks. In the end, the hosts were helpless to avoid suffering their first ever home loss to an English outfit in Champions League history. Not for the first time, Ronaldo emerged as the crucial player for United, making the difference in a match in which he displayed admirable humility, refusing to celebrate too vociferously on native Portuguese soil. His stunning intervention came as early as the sixth minute, when, finding himself in possession and without a defender in sight, the 24-year-old quickly unleashed a fearsome right-footed effort from 35 metres out that sailed into the far corner of the net. Ronaldo's early goal completely altered the face of the tie, wrenching the advantage back from the Portuguese Liga leaders after their 2-2 draw at Old Trafford last week. Porto needed to find the back of the net at least once all of a sudden and they attempted to play a more attacking game after setting themselves out to move forward on the break. Making that transition took time and their supporters had to wait until the 23rd minute to witness their first shot on target. Contesting their tenth Champions League quarter-final, United extended their unbeaten run in the competition to 23 matches. Arsenal raced out of the blocks against their talented rivals, whose timid showing had much to do with injuries to Spanish internationals Santi Cazorla and Marcos Senna. The Yellow Submarine finally began to pose a threat early in the second half, but their insistence on attacking through the middle failed to pay dividends, despite the home side having been forced to field a makeshift rearguard following a series of injury withdrawals. At the other end, meanwhile, Emmanuel Adebayor made them suffer with a smart finish, before Robin van Persie effectively ended the tie from the penalty spot following Diego Godin's foul on Theo Walcott. A red card for Uruguayan midfielder Sebastian Eguren merely increased the likelihood that the Gunners would emerge unscathed. Adebayor posed Villarreal problems throughout the entire encounter, keeping defenders occupied and keeping himself barely onside before demonstrating impressive calm to get his name on the scoresheet with the outside of his boot following an excellent pass from partner-in-crime Van Persie. The complexion of the tie began to change as early as the tenth minute, Emmanuel Eboue initiating an attack with a long through ball flicked beyond the visitors' defence with impressive speed of thought by Cesc Fabregas. Walcott collected the pass and lobbed the ball over goalkeeper Diego Lopez with supreme ease, thus forcing Manuel Pellegrini's troops to chase the game. Arsenal are a fearsome proposition in north London, particularly in European competition, and have now gone 24 Champions League games unbeaten on home soil. Likewise, Arsene Wenger's young side have yet to lose a home Champions League fixture since moving into the Emirates Stadium, recording 12 wins and five draws. According to a legend, Rome was founded by the twins Romulus and Remus on 21 April, 753 BC. 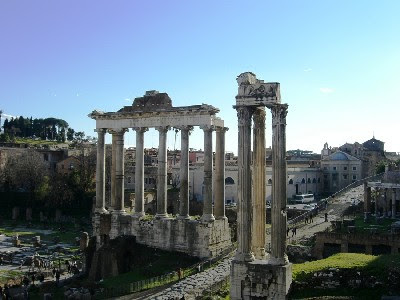 When capital of the Roman Empire from 27BC onwards, the city was one of the richest and largest in the world, with a population of over one million. During the reign of Emperor Constantine (306-324BC), the Bishop of Rome gained political as well as religious importance, eventually becoming known as the Pope and establishing Rome as the centre of the Catholic Church, a seat it still holds to this day in controlling the Vatican City as its sovereign territory. Today, Rome is a cosmopolitan city and one of most visited tourist destinations in Europe due to its ancient history and mix of Roman, Baroque and Renaissance architecture. The historic centre is listed by UNESCO as a World Heritage Site. Rome is served by two airports: Leonardo da Vinci, better known as Fiumicino, and Ciampino. Fiumicino is Italy's largest airport and has its own train station where passengers can be transported to the city's main station, Termini, in around 30 minutes. The airport is around 22 miles from central Rome. Ciampino has no direct train service although shuttle buses do run to Termini on a regular basis. Regular services run from Termini to all major Italian cities as well as to Paris, Munich, Geneva and Basel. The city's two metro lines (A&B) also intersect here and outside the front of the station, in the Piazza Cinquecento, is a major bus station. Rome offers a wealth of different attractions. The Forum, the central area around which ancient Roman civilisation developed, houses some of the oldest structures of the ancient city, while the Colosseum – the largest amphitheatre built in the Roman Empire – is one of the city's defining symbols. Staying with Roman architecture, the Pantheon was built as a temple to the gods of ancient Rome. Across the River Tiber is St Peter's Basilica in the Vatican City, the home of the Catholic Church and the Vatican museums, including the Raphael Stanze and the Sistine Chapel. Alternatively, the Spanish steps and the Trevi Fountain are also worth a visit. Visitors to Rome are simply spoiled for choice for places to while away the hours. The city's Villa Borghese park houses several museums and is a great place for a walk, while the Giardino degli Aranci (Garden of Oranges) offers a sensational view of the city. The Testaccio, Trastevere and Campo de' Fiori districts are great hang-outs for those wishing to wine, dine and possibly take in a club while bargain hunters would be wise to do as the Romans do and head to the flea market at the Porta Portese on a Sunday morning. One must visit the Colosseum as well as going to the Trevi Fountain to toss a coin into the water and buy an authentic Italian ice cream from one of the many sellers dotted near by. The match brings back memories of 2004, when then Porto boss Jose Mourinho charged up the Old Trafford touchline in delight after a 90th-minute Costinha goal took the Portuguese side through at the expense of the English team. 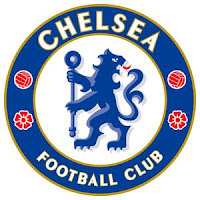 Liverpool drew Chelsea yet again and means Rafa Benitez's 2005 champions will face last season's beaten finalists for the fourth time in the knock-out stages in five seasons. The duo have also previously met in the group stages of the competition, making it five meetings in a row. Arsenal will play their first leg away to Villarreal in a repeat of the semi-final of 2006, although the Gunners played the first match at home on that occasion and went through 1-0 on aggregate after success at Highbury. 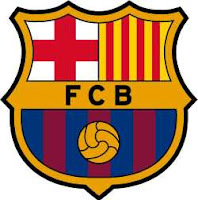 Barcelona, winners in 2006 drew Bayern Munich, champions in 2001 and the German giants have never lost to the La Liga leaders in Europe. The winners of Liverpool's match against Chelsea will face the winners of Barcelona's match against Bayern for a place in the final. United will take on Arsenal for a place in the Rome showdown - assuming both Premier League teams win their quarter-final ties.